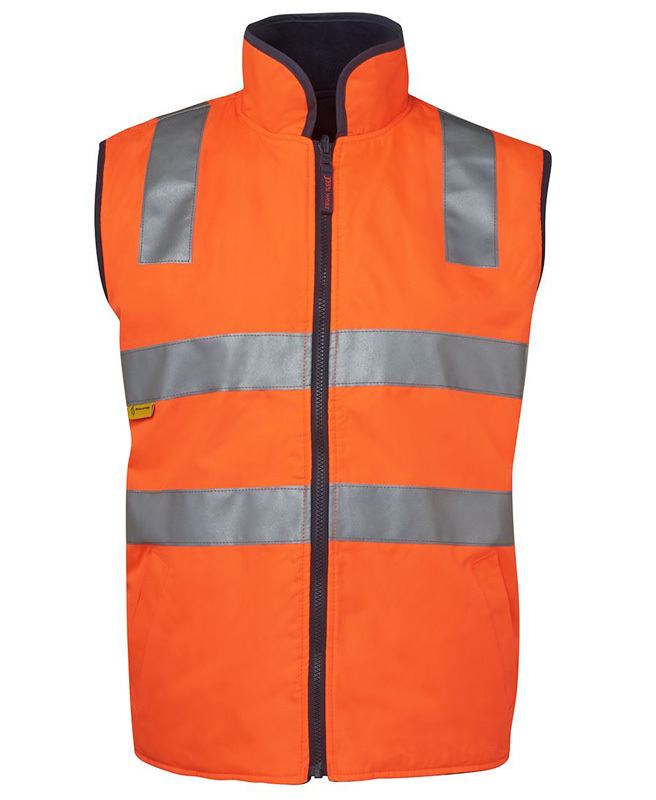 Shell: 100% Polyester Oxford 300d with PU coating. 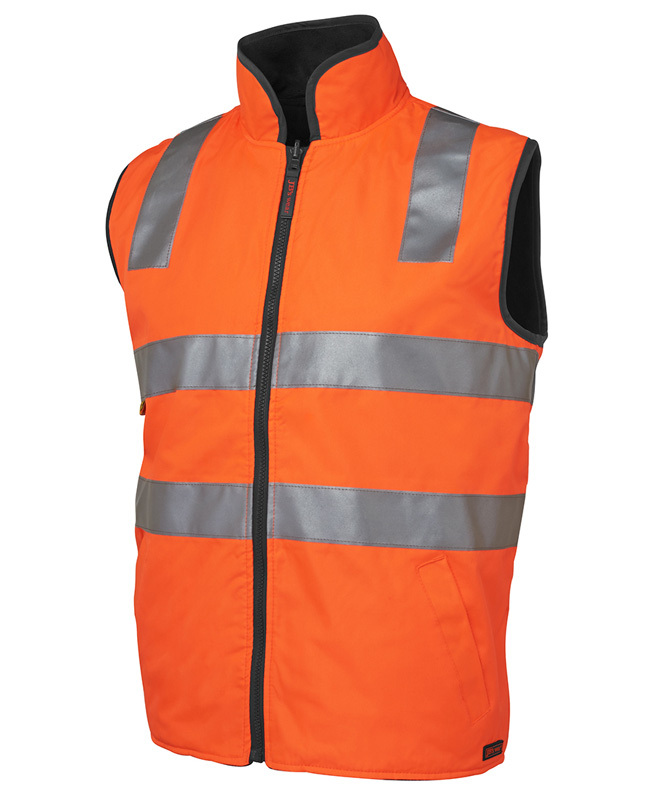 Lining: 290 gsm polar pleece contrast colour. 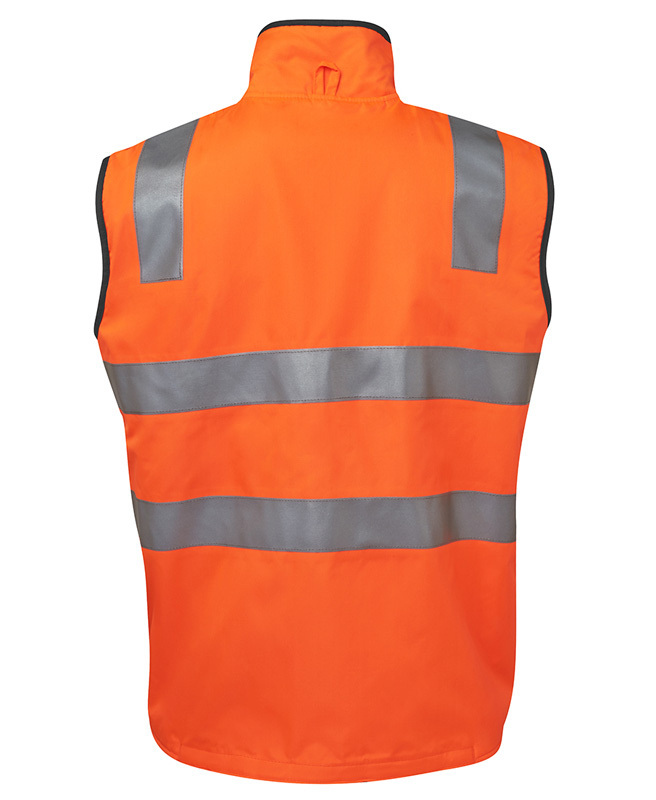 Waterproof rating 3000mm with sealed seams. 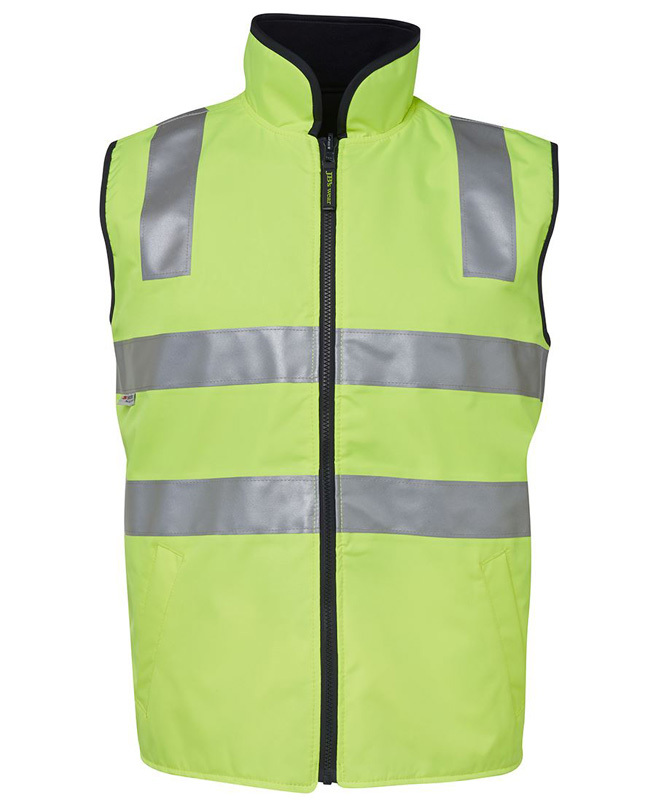 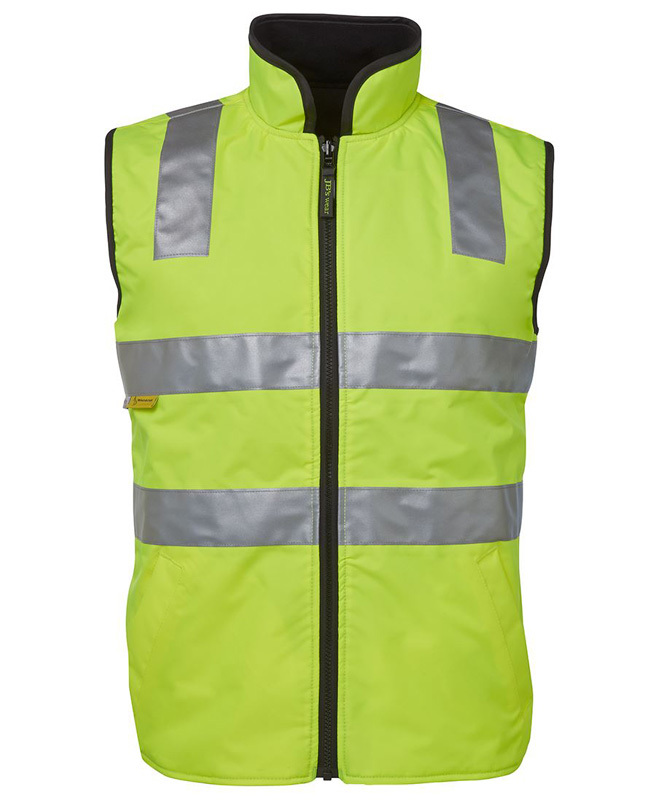 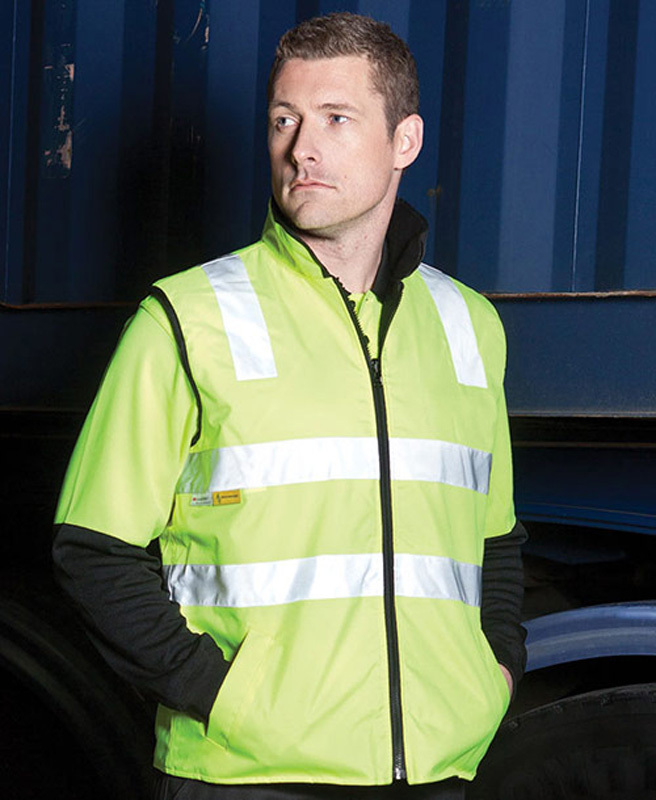 Zips into 6DNLL Hi Vis (D+N) Long Line Jacket.